Do Not Leave Windows 7 Gordon Kelly Urge Users. Following announcement by Markus Nitschke, Head of Windows at Microsoft Germany, to the official blog Microsoft explaining that they are gradually putting and end to Windows 7 support because of the OS is based on the tech evolution of the 2000s and thus will not be able to remain secure due to the recent cyber attack techniques, so they encourage people (their loyal users and companies) to switch to Windows 10, bloggers have filled the internet with related articles in a bid to help much more Windows 7 users see the need to switch to Windows 10, but Gordon Kelly, a contributor to Forbes have a different opinion with regard to whether you (Windows 7 user) should switch to the Windows 10 operating system model by Microsoft. In his post, he asked, does the remarkable beatdown of Windows 7 by its developers (Microsoft) a good reason for "you to ditch Windows 7 and run" to Windows 10? He did not leave his readers without answer, because on a bid the encourage you not to leave Windows 7 he explains, "Let me be absolutely clear: Microsoft is taking extreme liberties with the truth and Windows 7, users should not panic. Instead they should see this for what it is - a desperate attempt by ... [Microsoft] to push users to Windows 10." "Yes, Windows 10 does technically have better security BUT Windows 7 remains a very secure operating system if you are going to keep it up to date with the latest security patches. Yes, Windows 7 doesn't support the latest AMD, Intel and Qualcomm chipsets but that is ONLY because Microsoft chose to make them incompatible. In the history of Windows this was an unprecedented step and designed to push users to Windows 10. Yes, technically Windows Store apps are only compatible with Windows 10 but I've seen ZERO evidence any hardware or software companies are not longer supporting Windows 7. 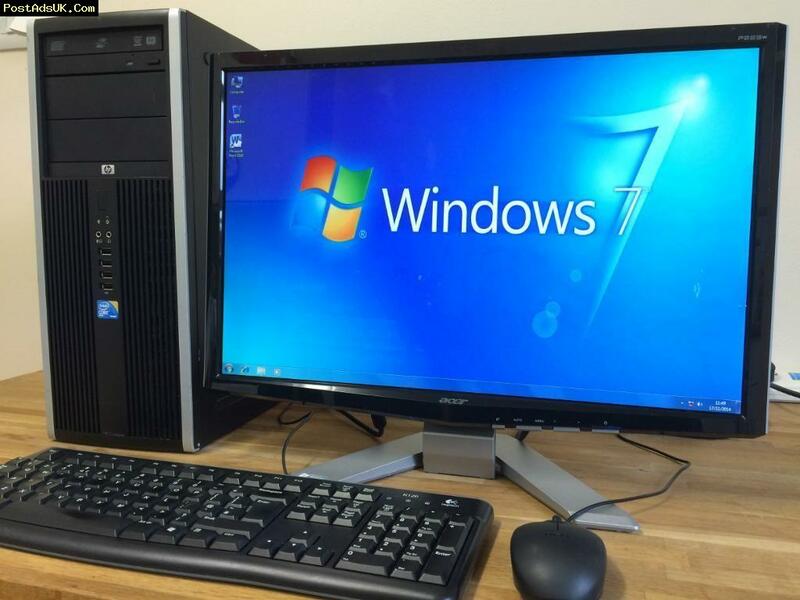 It would make no sense, Windows 7 is still by far the most popular and widely used operating system in the world. Yes, Windows 7 support will end and Microsoft will cut off all support but not until January 14th 2020. You should upgrade after this date, but it remains a long way away in computer years. And finally, Microsoft have been here before. In January 2016 the company warned Windows 7 users they choose the platform "at your own risk, at your own peril". Again technically that's true but it's true of almost anything (you drive a 'car at your own risk, at your own peril'). Just two years earlier Microsoft gushed security could be found in "a modern operating system like Windows 7 or Windows 8 that have a decade of evolved security mitigations built in." The reality is this: Microsoft wants all users on Windows 10 because it gives Microsoft far greater control over updates and privacy (despite important recent concessions). It also provides potentially greater revene to Microsoft via the Windows Store and native advertising. furthermore, while supposedly no longer tracked, Microsoft would prefer to miss its "one billion" installs target for Windows 10 by 2018 by a less embarrassing margin." Well all this that Kelly says might be facts, but to me, I do not see any reason why you should go mortgage a house that is already marked for demolition by the government. Yes, the date for ending the support to Windows 7 is about 3 years away, but to me, if supposing you have already mortgage the house, is it when the time for demolition is at the door before you consider relocating? Will you still be paying for the mortgage till then? Whether people (that is Windows 7 users) user like it or not, this OS will be discontinued. If you choose to wait till 2020 before you make the switch, that is your choice, and I am not against it, but do not spoil the name of a company just because the company chooses the end support for a services they offer, and the fact is, there is an option and Gordon Kelly acknowledge the fact that the option is somehow better than Windows 10. And also take not, Microsoft is ending support for Windows 7 not 8. So if you are not comfortable with Windows 10 but still want to stay whit Microsoft's operating system, you can still go for Windows 8, but I will say 10 is better to 8. The choice is still yours, wait till the support for Windows 7 is ended or switch to Windows 10 and quickly as you can. Lets talk about it via the comment below. Is Microsoft Realy Spying On You With Windows 10?